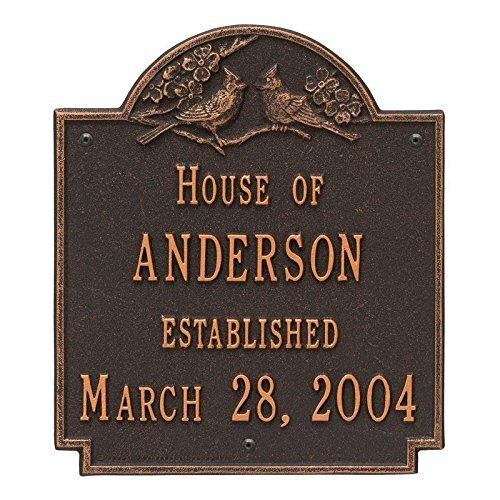 Dimensions: 10.25″H x 14.25″W and Weight: 4 lbs. 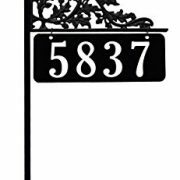 NOW WITH A TALLER 48″ POST! 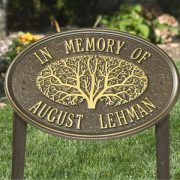 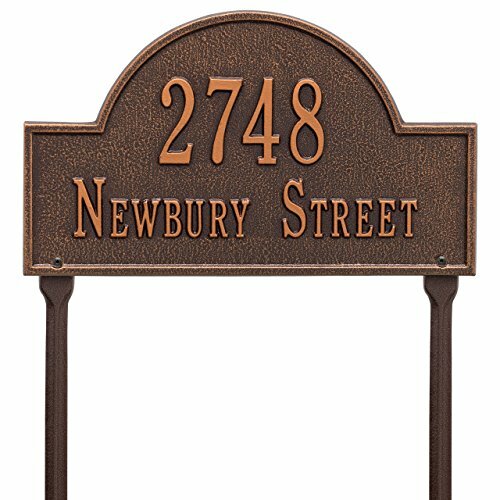 Made to last with a high-grade aluminum plate, high-impact polypropylene bracket, and powder-coated steel post. 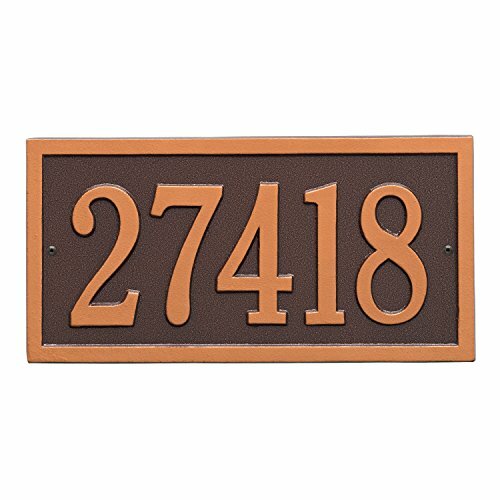 Highly reflective sign helps emergency personnel find your home faster in critical situation. 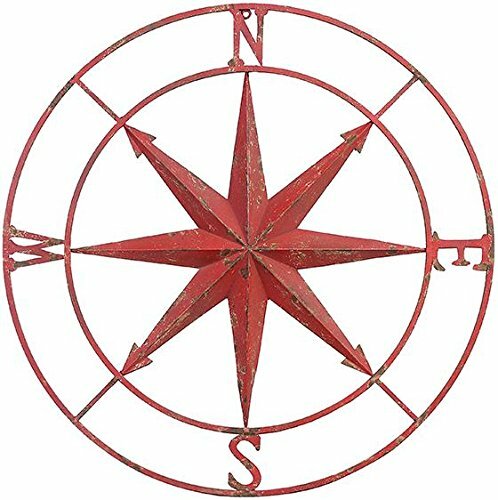 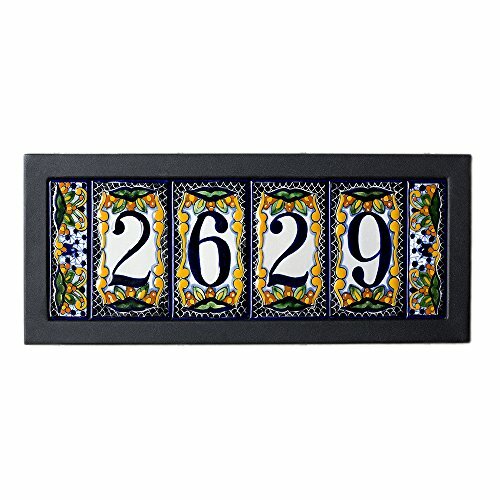 Fits 5 Native Trails 3″x 5″ handmade address tiles. 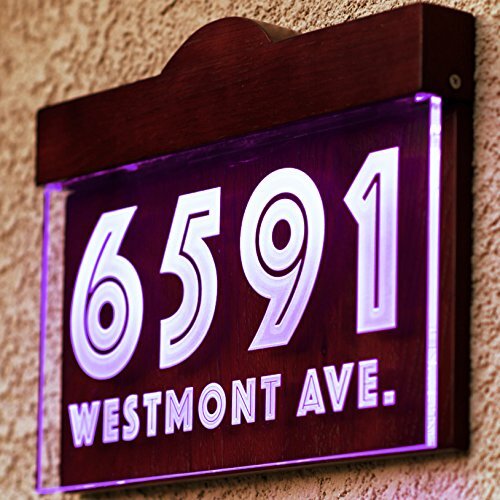 Customized Address Light/Door Sign Hand-Made to Order. 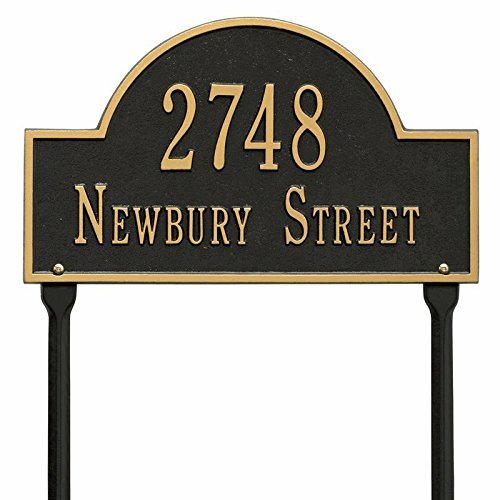 ******How to Order: Please Add Item to Check Out and Send As a Gift, Leave Your Required Information As a Gift Message, Include FONT STYLE NO., YOUR HOUSE NUMBER, and STREET NAME(Optional), Or It Can Be Your House Name Sign Also. 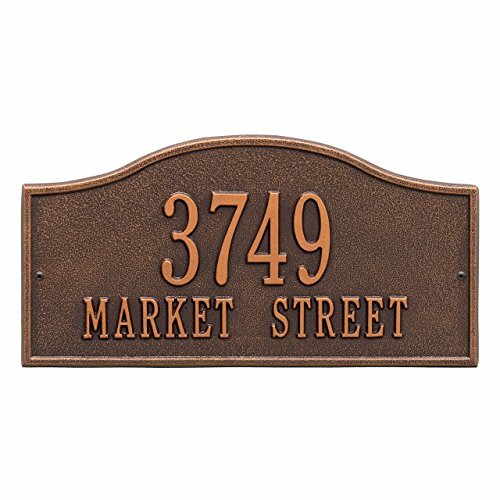 Alternatively Send a Standard Amazon Message To Us. 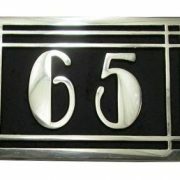 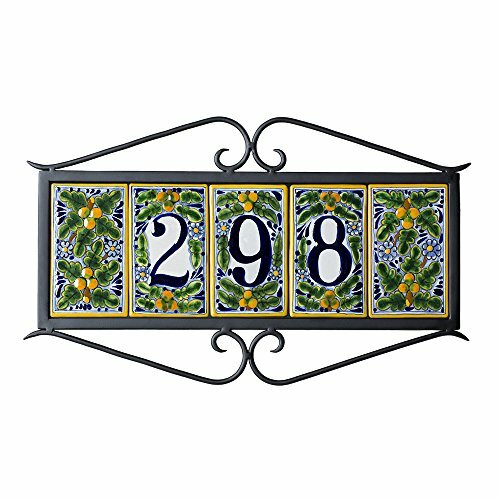 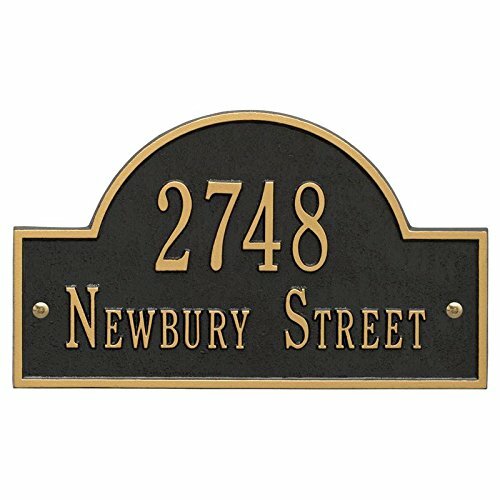 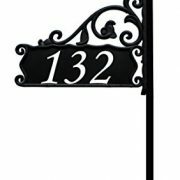 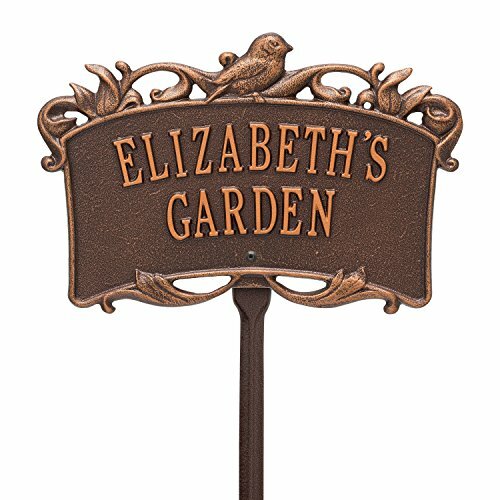 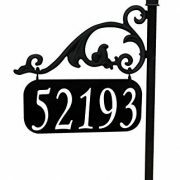 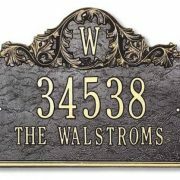 This beautiful house address plaque is a clear and stylish way to showcase your house number. 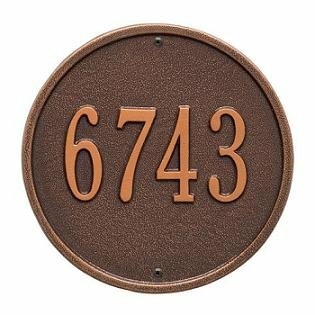 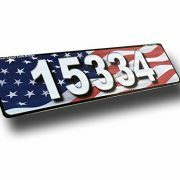 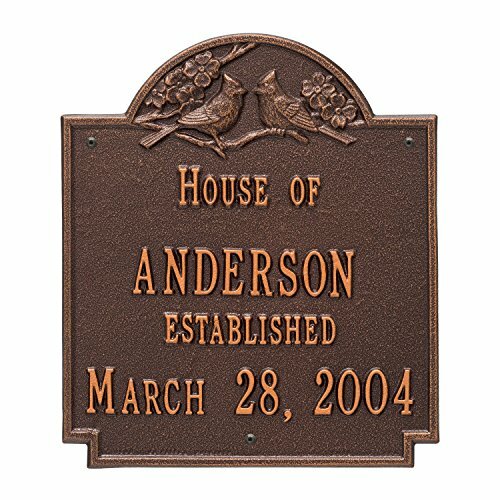 With this house address plaque your house will easily be identified by any delivery driver, paperboy or pizza delivery man. 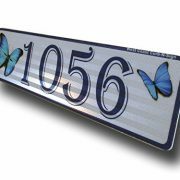 Fully lacquered for protection from the elements outdoors or indoors. 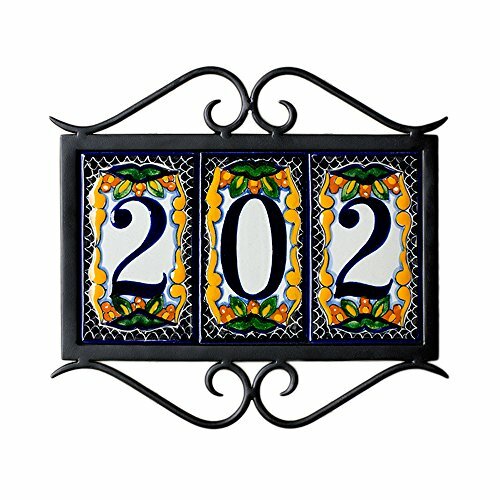 High quality product at a reasonable price.